After nearly 30 hours spent in airports and airplanes across the Eastern hemisphere, we finally arrived in Thessaloniki where we were warmly welcomed by Professor Papadopoulou and some of the AUT students. 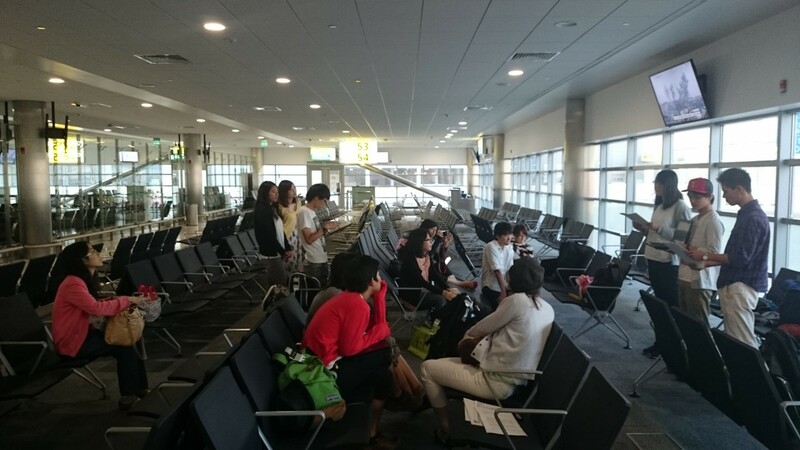 An almost surreal moment: Chiba University students rehearse their presentations on Japanese culture and society while waiting for the flight to Athens at Abu Dhabi airport. 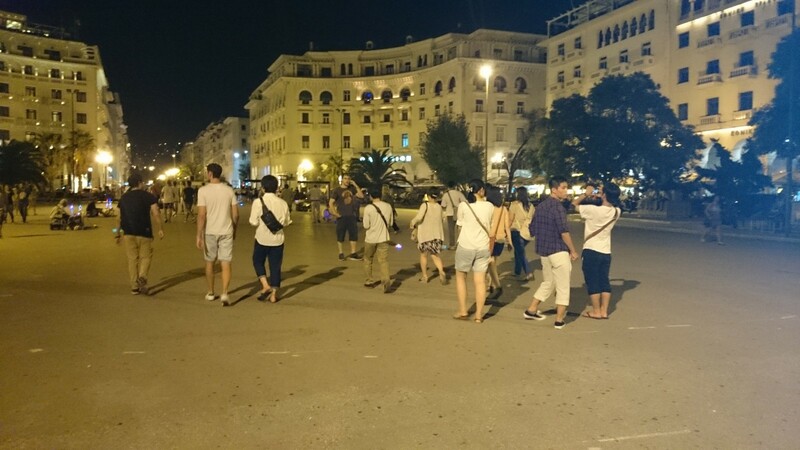 Even after such a long journey students were keen to see Thessaloniki and accepted the kind invitation of AUTh students to walk along the seafront. 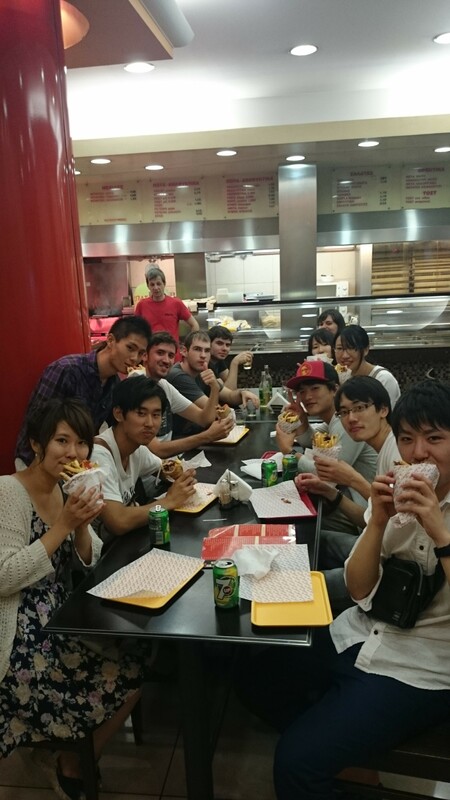 Chiba University students had also the chance to taste pita gyro for their first time!